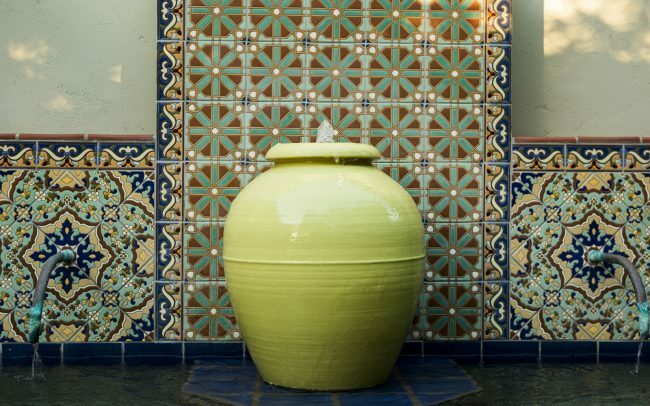 Step into a Laura Morton Designed Landscape and be transported to a place of beauty: a thoughtfully customized space, built well with sumptuous details, exotic materials, and artful use of color. 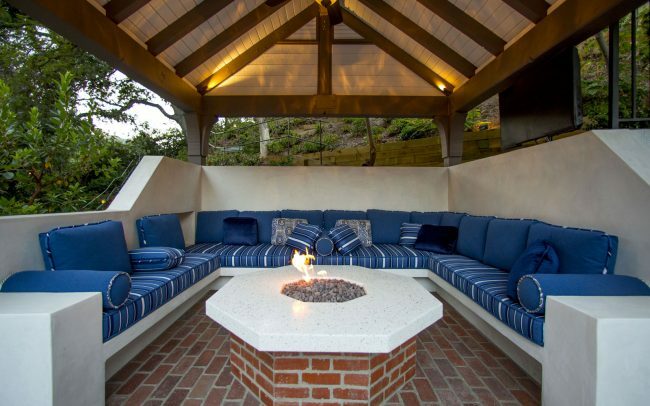 Experience outdoor rooms for conversation and daydreams, accented with creative water and fire features that enchant, and framed with a variety of plants and trees—perfect in choice and scale—that scent the air with intoxicating aromas. Together, each complementary element of this tailored garden effects your transition from the real world…to a world all your own. 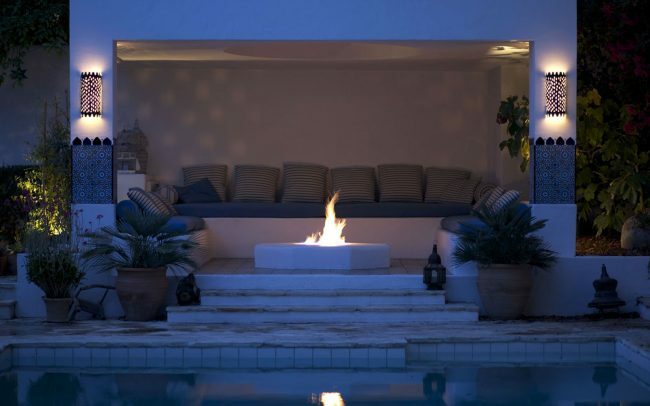 We take pride in the creation of extraordinary outdoor spaces that welcome you home and are a true investment in your lifestyle. We offer Conceptual Design and Project Management from start to finish, down to the details, including budgeting and purchasing. Many of our projects are complete makeovers, and we are undaunted. We also enjoy working as part of a team with other professionals. A successful project is an elegant marriage of built features (hardscape) with the living plants (softscape). 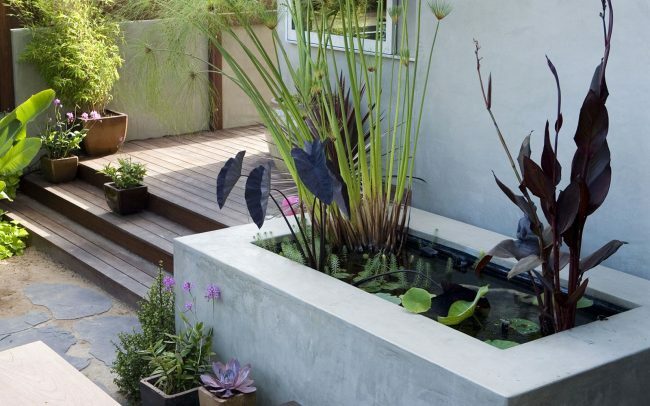 We are passionate about stylish outdoor living and healthy thriving gardens that connect you to the natural world. After installation, we offer ongoing horticultural consultations in concert with a skilled maintenance program to ensure healthy stewardship of your investment to its full potential. 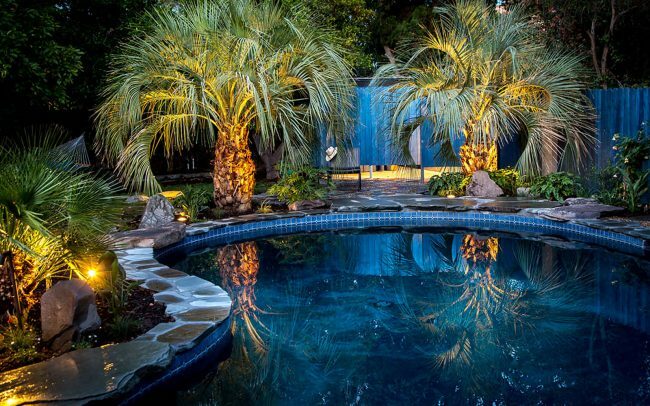 Laura Morton, FAPLD, is a certified Landscape Professional and Principal of Laura Morton Design, located in Los Angeles, California. 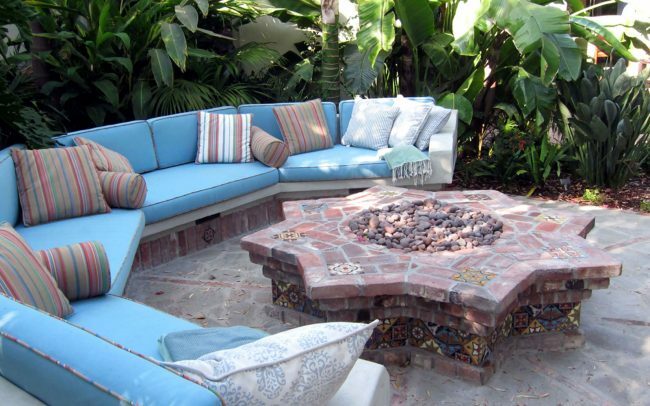 We design extraordinary outdoor living spaces and gardens to enhance your lifestyle and property value. Attention to detail, sensitivity to the environment, and dependability define our style. We have been thoughtfully transforming the residential landscape since 2002. 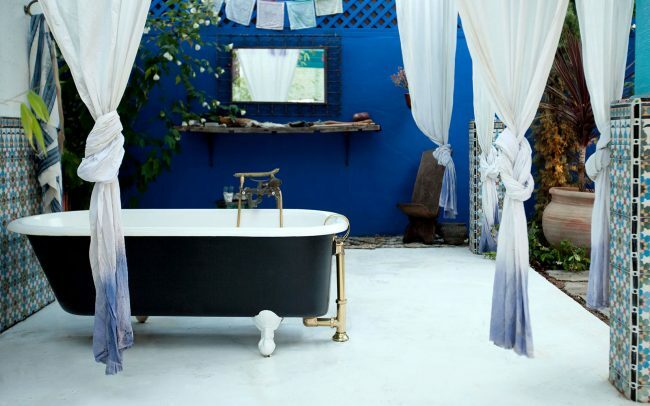 Artist/designer Laura Morton creates sumptuous, award-winning outdoor spaces that transcend daily life. 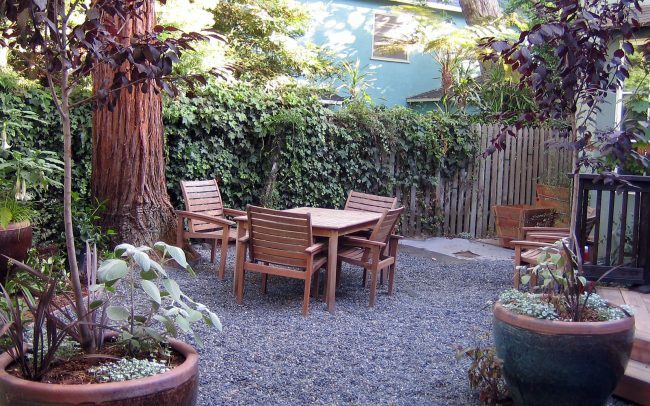 She takes a holistic approach to landscape design, considering all aspects of sustainability without compromising ambiance or style. 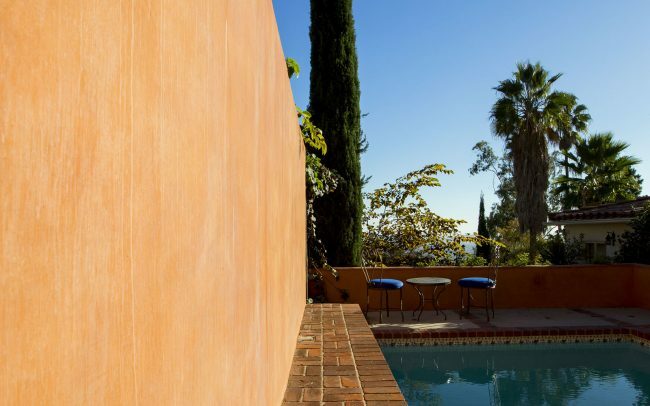 Published work includes features in Garden Design magazine, the LA Times, and Secret Gardens of Hollywood (Rizzoli). To see how Laura Morton works as a transformational landscape designer—a “matchmaker” between nature’s power and the human yearning for order and beauty—explore her project galleries. Drawing upon multiple artistic disciplines, she conceptualizes award-winning landscapes and cohesive, sustainable outdoor habitats for a wide variety of clients, as these videos well illustrate. In 2009 she co-founded the Greater LA District Chapter of APLD, and in 2012 served as California Chapter President. For more on Laura’s professional background, see her certifications & awards. If you are considering investing in fine landscaping or exterior design for your property, please contact us for a design consultation; or stay connected with social media (see icons in the footer below). 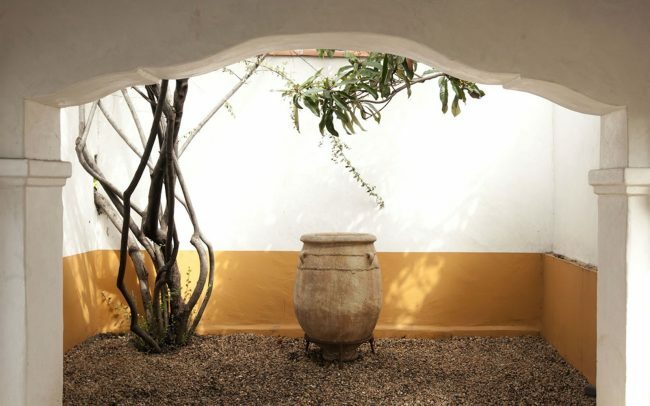 Landscape design encompasses so many aspects of what I am passionate about: architecture, design, plants, biology, and the magic of seeds carrying so much life. Decades of travel to exotic places have given me a unique experience to draw upon; and my background in photography enhances aesthetic 3-dimensional thinking. Good design requires a quiet understanding of elemental materials, whether man-made, mineral, or plant-based, so that they get used in the best possible way. When working with a client on a new design, I look always for the essential, personalized ‘keys’ that will reconnect them to the outdoors and the natural world. 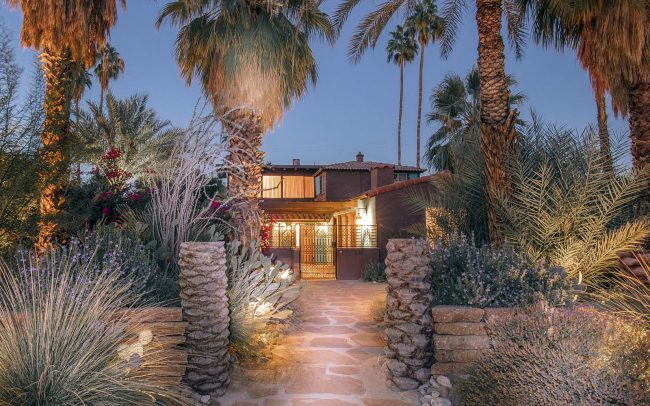 Living and working in Southern California, artist/designer Laura Morton, FAPLD, creates gardens and outdoor spaces that transcend daily life. All text and photographs on this site are registered with the U.S. Copyright Office. Copyright © 2009– Laura Morton Design. All rights reserved.